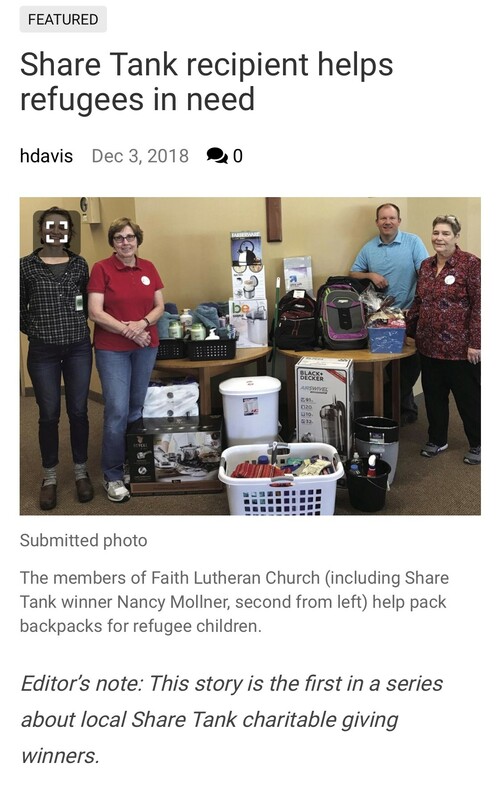 In September, 2018, Faith hosted a Forest Lake community sharing competition called Share Tank. It was a spin on the hit television show "Shark Tank." But instead of business pitches, the Share Tank contestants battled for grant money for charitable projects. The Forest Lake Times recently ran a 4 part series about our Share Tank winners. We are grateful to Hannah Davis, area editor at the Forest Lake Times, for her heartfelt stories about Faith living our faith out in the world. Thank you too all who have supported refugee outreach. Read more about this amazing ministry!